Students conduct simple tests for polymer hydrolysis using 3 Bacillus species that look identical in culture and in morphology. Students conduct starch, lipid, and protein degradation tests on the bacteria to detect the difference in the 3. Tests are completed in 48 hours. 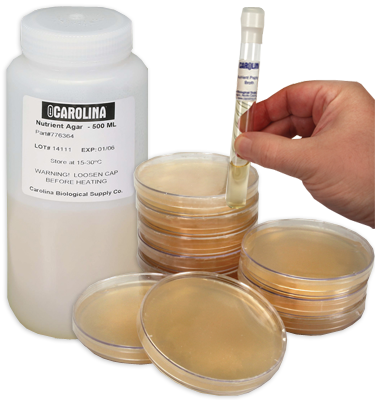 Keep bacteria cultures and agar at room temperature. Refrigerate spirit blue agar plates until use. Perishable materials included. Kit includes enough materials for a class of 30.